We will not abuse or share your Email with third parties. 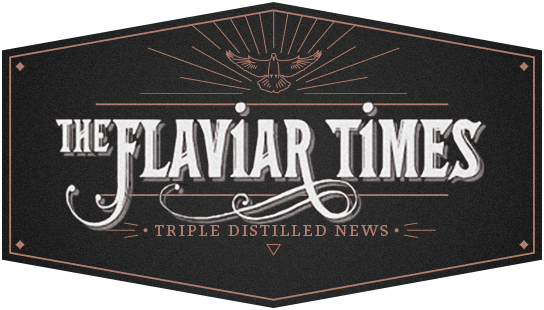 Flaviar is a band of spirits enthusiasts, inspired by culture, rich history and the art of distillation. We forage the World of Spirits for the finest, rarest and most unique expressions out there and pack it all into a 21st century Members Club. You are what you drink, diversity and quality matter and all that should most certainly be enjoyed with style and in good company. Times have changed since the dark era of 1920's Prohibition, when the sale and consumption of alcoholic beverages was outlawed. Unfortunately, the industry is still stuck in the 20th century and we're taking it into the 21st with the spirit of speakeasy.... more inside. Who Are 5 Females That Shaped Cocktail Culture? Just Say No to a Straw! What are Biggest Rip-offs and Best Value Drinks at your Local Bar? Gunpowder is Not Only for Cannons and Fireworks, you Can Now Have it in a Cocktail! The Negroni Versus the Gin & Tonic: Which Will Reign Supreme? Not Sure How to Drink Poitín? Try it in These Cocktails. What a complete load of balls! What Makes Japanese Cocktail Bars So Special? Get Your Rum Ready. It's National Rum Day! All You Need to Know About Pink Gin. And No, It's Not Just for Girls. This Summer Drink More Whisky! Here is How.